Fabulous turn key equine facility with gorgeous updated walkout ranch of almost 4500 sq ft on over 9+ acres of fenced land! Great location just one mile from !-64 at the Simpsonville exit (Outlet Mall of the Bluegrass is right at the exit). The brand new Master Bath is to die for with walk in shower and huge soaker tub , double vanities and en trend palette of white and gray with carerra features and is part of the spacious Master Suite. The kitchen with island has also been stylishly updated to please even the most discerning buyer. The large eat in area is sunny and bright and leads directly in to the vaulted great room with welcoming fireplace and walks out to a covered patio....perfect for grilling or enjoying the outdoors while listening to the rainfall.The large updated laundry room is conveniently located on the first floor just off the kitchen. 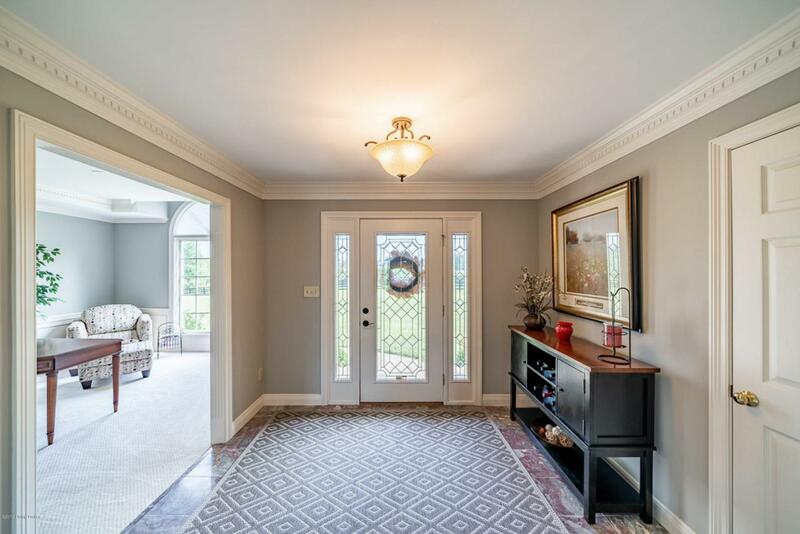 The foyer welcomes guests as they enter through the front door and opens to the formal dining room with lovely moldings. Two additional large sized bedrooms and a full hall bath are also on the main level. 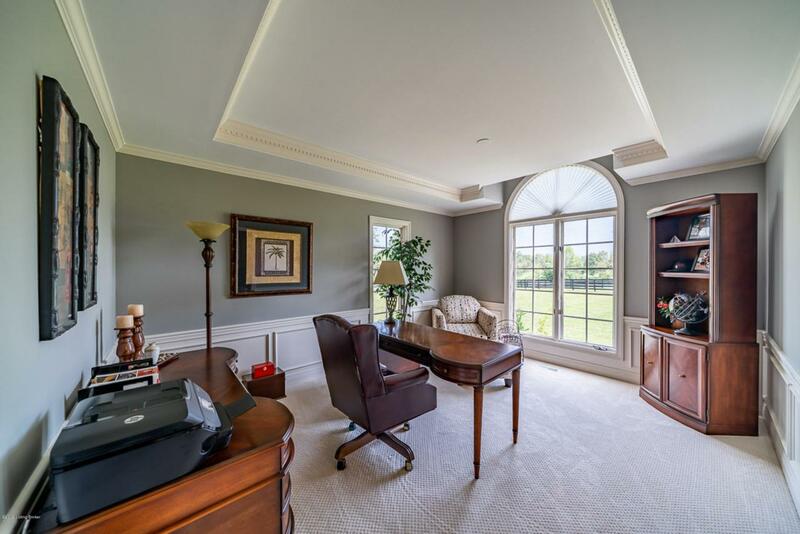 In the lower level one will find an additional room that could easily be used as a home office or bedroom as well as a recreation room/den and theater, gym or flex room. Horse owners will love the offerings outside. First of all, not only is this property located in the heart of Saddlebred Country but also right in between Churchill and kneeled so would make a fabulous lay up facility or owners/trainers headquarters. The barns with 7+ stalls, tack rooms, equipment storage, electric, water , etc. make this a super easy facility to move right in. 7 separate paddocks each with their own run in shed as well as electric and water service are all four board horse fenced with gated entry. There is even room for an arena or round pen for training purposes. 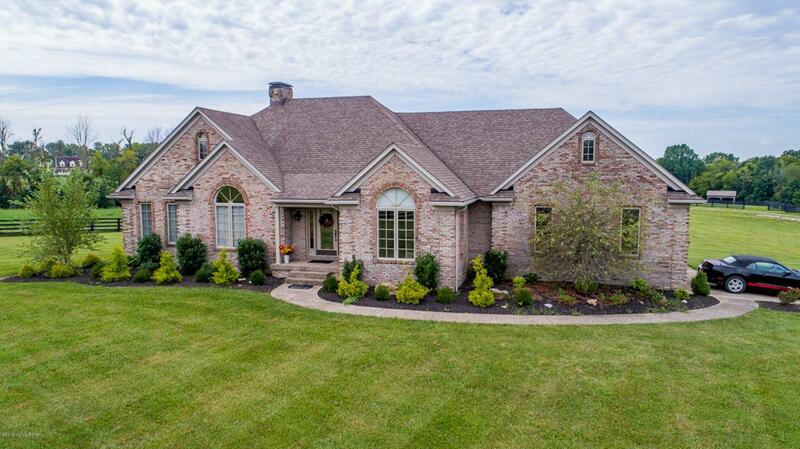 Believe it or not there is even a large stocked pond for the buyers enjoyment. 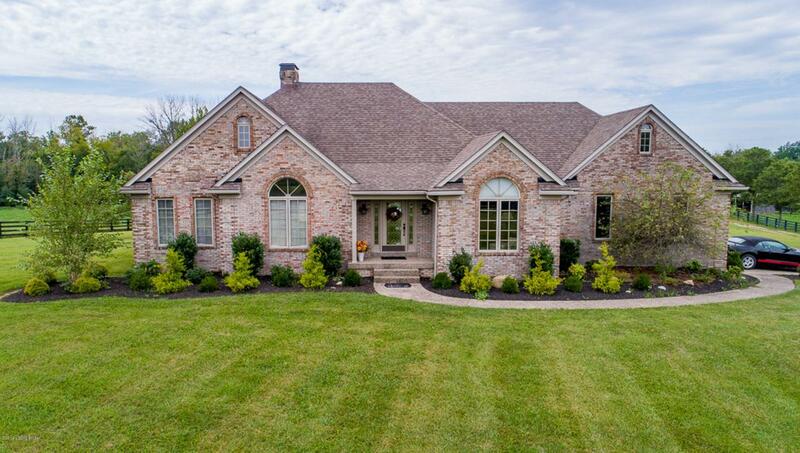 Privacy is top of mind as the home, although it is conveniently located on Buck Creek Road is discreetly tucked away down a long driveway. This one is a treasure to be sure!